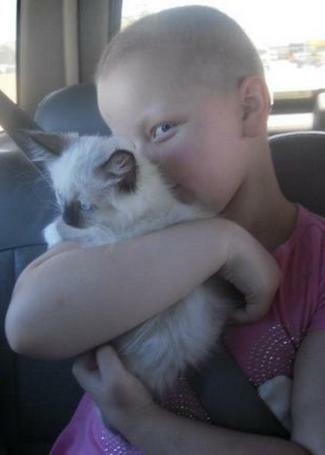 TempleDolls Ragdolls places one kitten with a child/adolescent or senior with a therapeutic need each year. The kittens are given at no cost to the family, and a portion of our overhead costs of raising the kitten are funded by familial crowd funding donation (so that we are able to keep this program going, as we pay all expenses out of pocket). We have done 6 therapy placements to date!! Scroll all the way down for details on our 2018 placement. 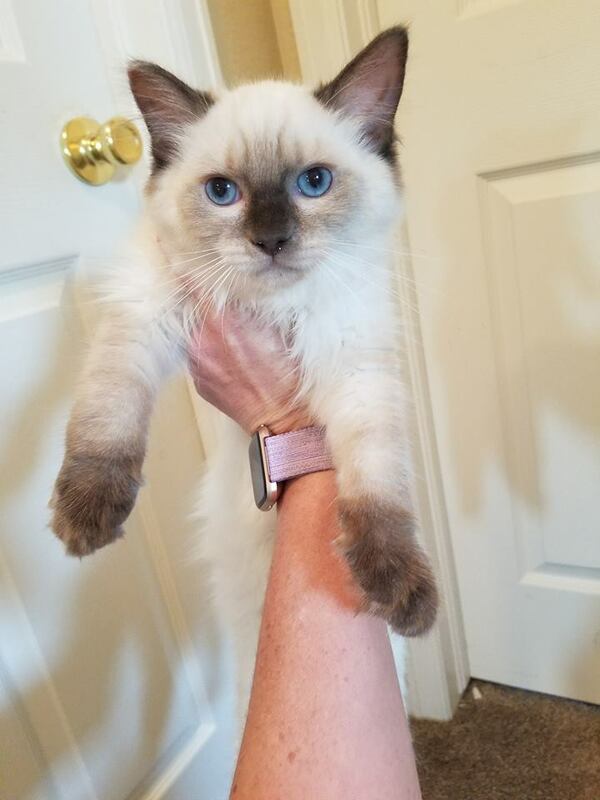 Do you know a young child or adolescent in need of a ragdoll companion? This is a therapeutic placement, so we are looking for a kiddo with a serious physical or emotional need. The family must have the financial ability to provide for the needs of the kitten. Please email us at TempleDolls@yahoo.com and send us a detailed nomination. We are accepting nominations for the 2018 placement. 1. A child/adolescent with a serious physical or emotional need. 4. Dr./Therapist verification may be required (and remains confidential). Kyra and Apollo. A son of our Lotus and Poe. 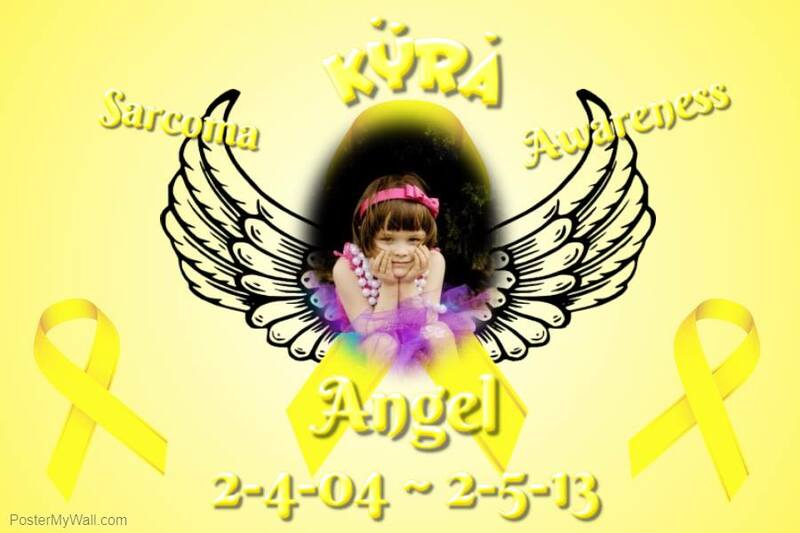 Visit the "Kyra's Dollhouse" page to learn her story. Congratulations to 16 year old Sadie! She has been chosen to be the recipient of our 2014 ragdoll kitten giveaway. 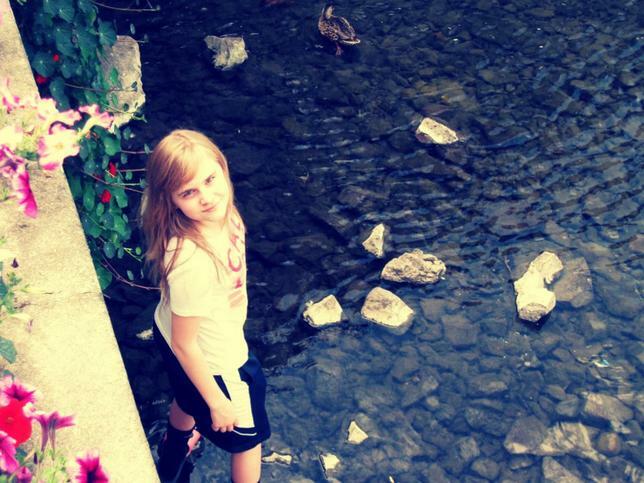 Sadie has a diagnosis of Tuberous Sclerosis and Sensory Processing Disorder (SPD). We are looking forward to working with her, and witnessing how she bonds with her Ragdoll kitten. Click here to learn more about Sadie's story. Some recipients are not pictured to protect their privacy. a 15 year old adolescent girl who signed a "no self-harm" contract in exchange for therapeutic work with her ragdoll. a senior citizen now living alone due to the bereavement of her husband. senior citizen placement (living alone). My sweet beautiful boy with a big purpose. He is available for adoption and seeking his furever family. ... Actually, he is seeking his furever kid. 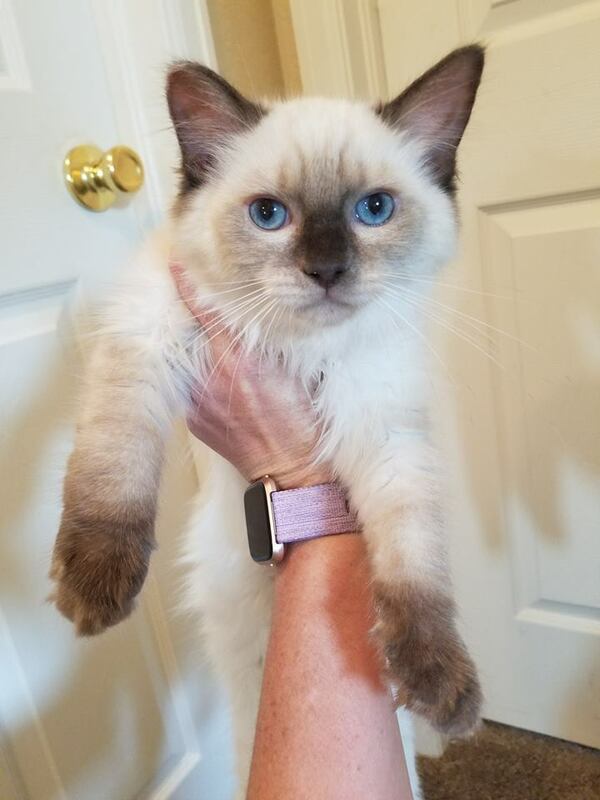 Moe has been selected as the 2018 therapeutic placement kitten. He has a miraculous story of survival, himself. He was born near still, and he lost blood flow to his extremities. Due to his critical condition, his mother rejected him. I had to give him CPR and nurse him everyday around the clock. Including (as I understate) daily bathing (sometimes numerous times a day); serious wound care that lasted for several weeks; and several weeks of around the clock syringe feeding. He lost most of his back foot and tail -- as well as a few toes on his other back foot, and the tip of his ear. He is an adventurous, healthy, happy, bucket of purrbee love. He had thee most amazing will to live. Moe is spectacular in spirit, and comes from supreme grand champion line. He is looking for a special warrior child to share his life with. It will be very difficult for me to let him go. But Moe has important work to do. We finally found his kid! Congratulations to Moe and Kason! Scroll down to learn about both of these inspiring souls! 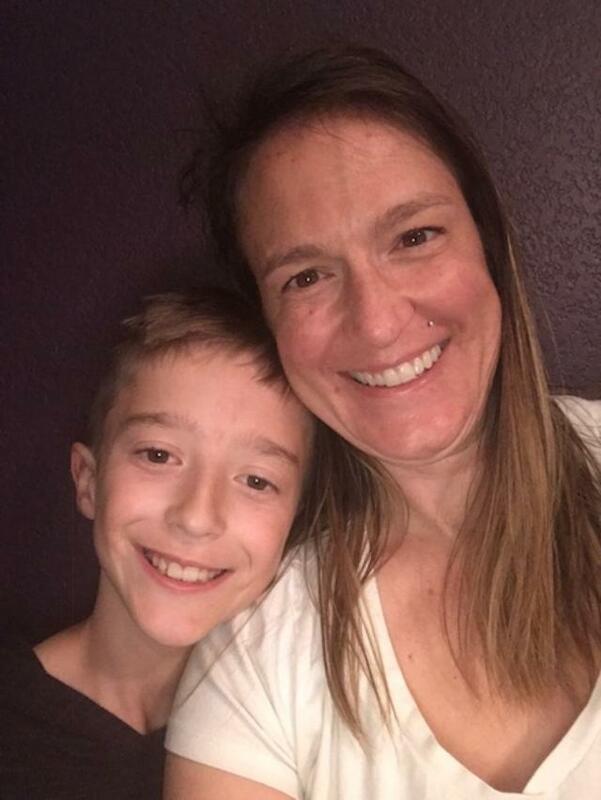 Kason, and his awesome mama who sent in his nomination! ​Kason was born with a rare birth defect that only effects 1 in 5000 children. This birth defect generally targets the lower bowels. Kason had to have 5 major surgeries between the time he was born until he was 7 months old because of it. The birth defect also caused him to have a tethered spinal cord which was not discovered until he was 18 months old. He also underwent spinal surgery to release the spinal cord. At about 4 years of age he was diagnosed as being on the autism spectrum and one year later he was also thought to have bipolar disorder. He receives ongoing therapy and medication to treat the mental health disorders. His birth defect has left him with lifelong consequences related to daily tedious self-care. Through all of this Kason is a loving and selfless child. He is determined to live life to the fullest and not let his disabilities hold him back!